We believe there’s no need to pay for monthly monitoring fees when you can instead be monitored by the people who love you & know you the most – friends and family. We believe you should be protected all over Canada, not just at home. We believe that if you fall, you should expect to be rescued quickly, no matter where you are in Canada. We believe in saving lives, extending independence & creating peace of mind for families and friends. New 2019 model. 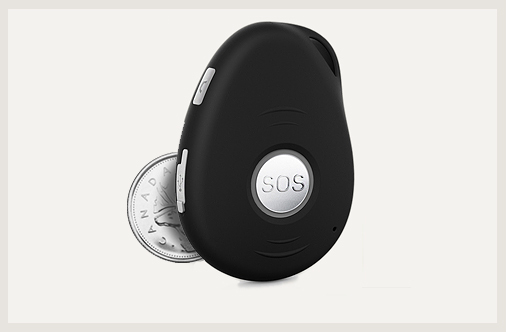 Go anywhere in Canada knowing help is just a press of a button away. Perfect for anyone who wants to feel safe everywhere they go. No need to worry about false alerts. Don’t have a mobile or landline phone? No worries. 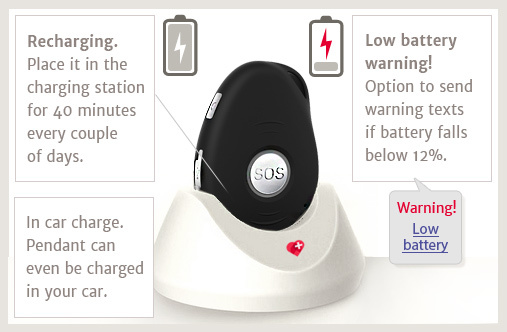 The mobile alert is independent from any other device. There are no monthly monitoring fees ever. Free lifetime support is included. 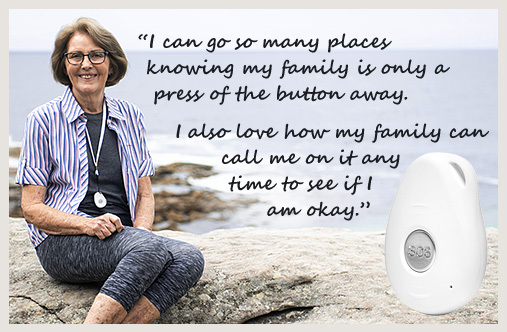 Using today’s modern mobile network and built-in GPS tracking the LiveLife medical alert pendant sends up to 5 help messages showing your exact location on Google Maps. Then it calls up to 5 of your emergency contacts one by one until someone answers (can include ‘911’). 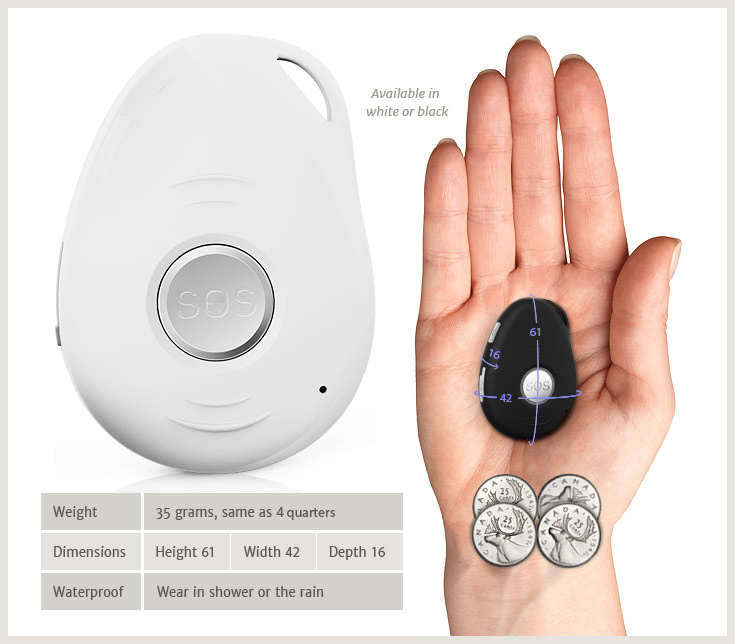 When an emergency contact answers, you can talk hands free through the waterproof alert pendant using the built-in speakerphone & microphone. 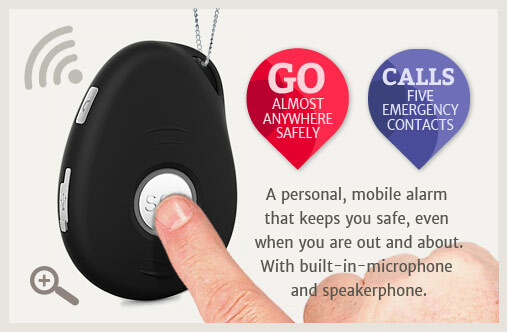 You can even call the mobile alert pendant and it will answer in speakerphone mode automatically! Swiss GPS, Italian circuitry, reddot winner. CHOICE Award Winner 2017 & 2018. Also works in the USA automatically with no extra charges. Works where there is 3G, 4G & LTE mobile coverage (covers 99% of Canada). Calls & texts up to 5 friends or family (can call 911) until someone answers. 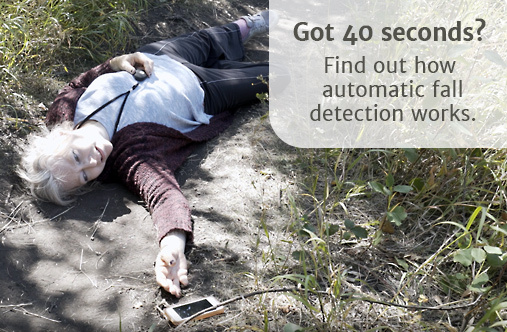 Auto fall detection. Sends “fall alert” text with location & calls up to 5 contacts. Price includes programming & delivery. Comes ready to go out of the box. Includes breakaway lanyard and stylish wrist band (wear as a watch). No monthly monitoring fees. 12 month warranty. 14 day money-back trial. Lifetime support included. Just call toll-free 1 877 801 7172. 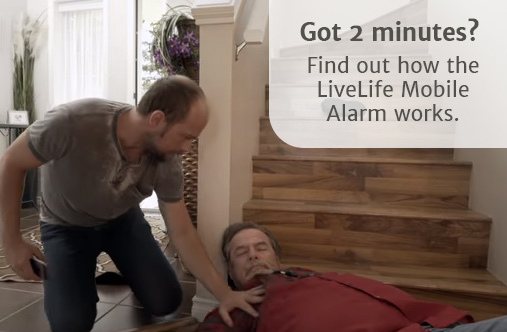 Click here to view a full list of what is included with your LiveLife Mobile Alert. What’s included with your one time purchase. Everything you need. 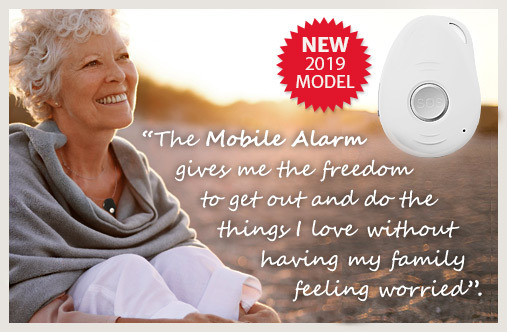 Be the first to be offered the LiveLife 3G Mobile Alarm. In an emergency your LiveLife Mobile Alert contacts the people who love you and know you the most – your family & friends. Ongoing costs are just $45 each year from Year 2 (pays for unlimited calls & texts). Sleek, robust & adjustable wristband. 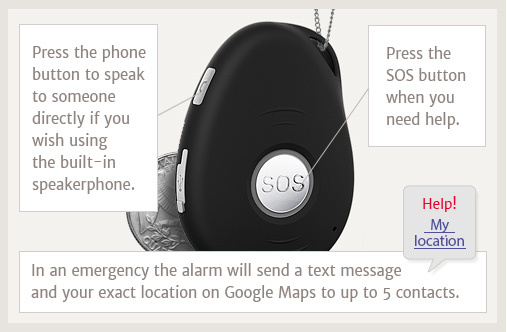 Calls and sends text messages to up to 5 emergency contacts when the SOS button is pressed for 3 seconds. Calls until someone on the contact list answers the call. It will stop calling the other numbers if the wearer or a responder ends the call sequence. 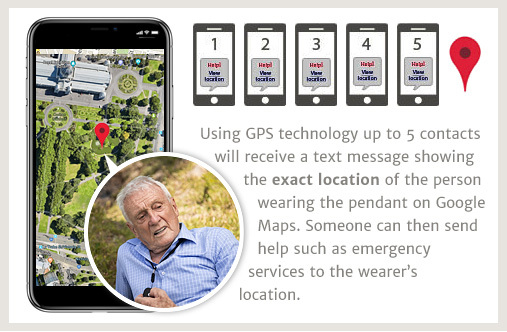 Using GPS all help text messages contain a link to Google Maps displaying the location of the wearer on a map with accuracy to within 2 metres. You can call a nominated contact by pressing the side talk button at any time. 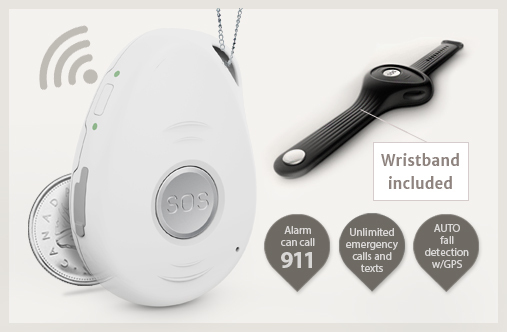 You can speak and listen to calls through the mobile alarms built-in microphone and speakerphone. You can include ‘911’ as one of your emergency contacts. Easy to recharge in just 20 to 30 minutes by placing into the charging station. 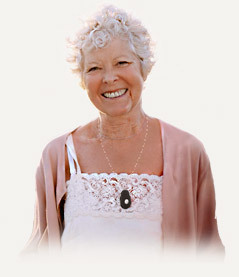 Location feature: Want to know exactly where the person wearing the pendant is at anytime? 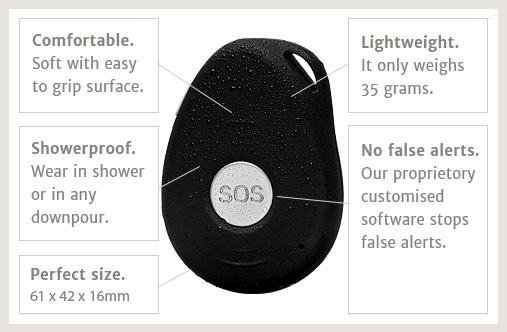 Just send a simple text message to the pendant and it will send back their exact location on Google Maps. Uses the best signal from either Rogers, Bell, Telus, Tbaytel, MTS or Sasktel (depending on location) which gives the widest coverage in Canada of 99.5% of all populated areas. Fall detection: If a fall is detected the medical alert pendant sends text messages with your location to up to 5 contacts. The alarm will beep & vibrate for 20 seconds. If not cancelled in this time the fall alert text is sent. Wandering feature: For people who are at risk of wandering the Geo Fencing option allows warning text messages to be sent if the wearer strays outside a defined area. No contracts or monthly monitoring fees. 14 day money back guarantee , 12 month full warranty & limited lifetime warranty. 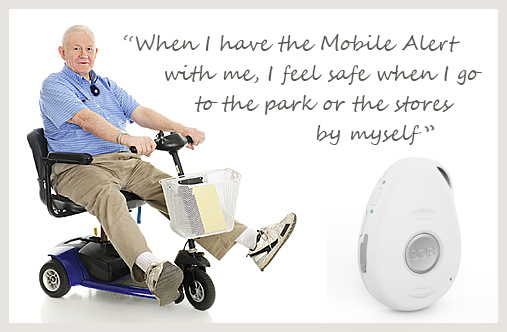 The LiveLife Mobile Alarm comes with a 14 day money-back guarantee. Simply return the alarm unit in it’s original packaging within 14 days of purchase for a refund. 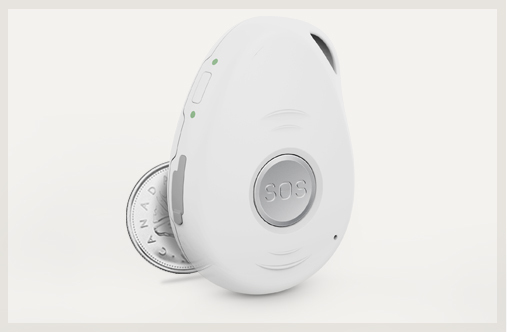 Once we receive the alarm in it’s packaging we will refund you the purchase price less $95.00 (postage, setup and prepaid credit) within 7 days. 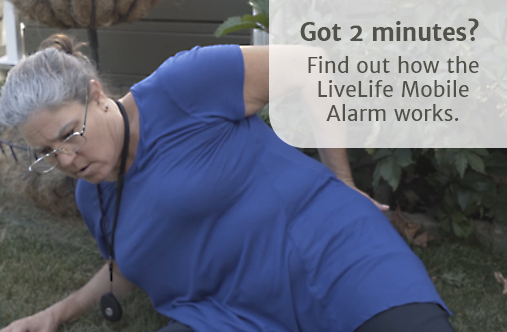 The LiveLife Mobile Alarm comes with a 12 month warranty. If the pendant has a manufacturing defect or breaks down within the first 12 months of purchase we will replace it free of charge. Please note the warranty policy does not cover lack of a mobile signal as the availability of coverage is not guaranteed in all areas. Some areas showing as covered by Rogers mobile can contain black spots. If the unit fails after the first 12 months please send it back to us and we will repair or replace it. We will only charge you for the cost of repair. You won’t have to buy a new unit. See our Customer Service page for the terms and conditions of our warranty. Operates using a Prepaid Micro SIM card. Total cost as low as $25 per year. This covers emergency calls. Uses GPS tracking to locate pendant with link to location in Google Maps to within 2 metres. Uses in-built microphone and speakerphone to communicate hands free. Has fall detection option with 20 second delay to cancel. Detects height and angle of fall along with force of impact and time of no movement. Transmits and receives on 3G 850Mhz band via voice and text messages. Recharge from empty to full in 40 minutes. Receives and transmits on frequency band 850Mhz.